This week, we examined Acts 13:13-42. In this passage, Paul was asked to step forward and provide some encouragement for a community who had gone through a lot of adversity. His message focused on God’s Promises. God’s Promises reflect so much about His character. And this panoramic view of the history of God’s Chosen People reveals plenty about God’s personality and the ways that He communicates and leads us through tough times. God still encourages us with His promises today. 1) God’s promises depend on His character and personality. 2) God’s promises are eternal. 3) God’s promises come to fruition in the fullness of time. 4) God wants to share His promises with us. 5) Sometimes things appear to get worse, not better, after receiving God’s promises. 6) We receive the fullness of God’s promises through faith. 7) Fear keeps us from receiving and seeing God’s promises fulfilled. 8) Unbelief keeps us from receiving God’s promises. 10) Write down and track God’s promises. 10.5) As you are allowed to, share God’s promises with the ones around you. Is there anything that is keeping you from fully receiving what God has promised you? 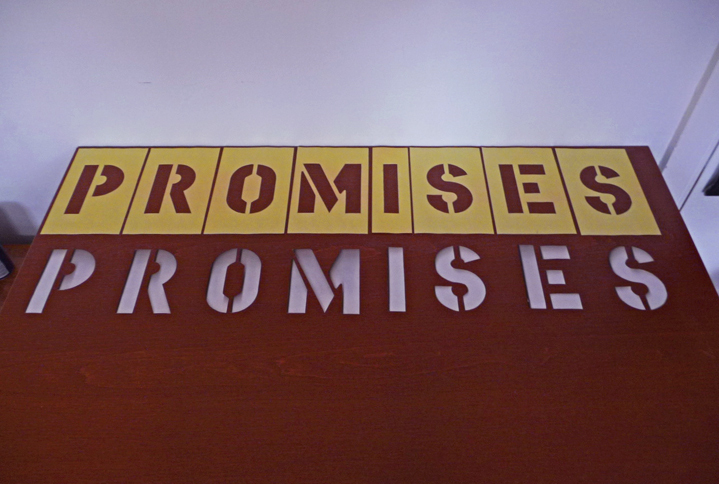 Do you know 2-3 promises that God has shared with you? This week, we examined Acts 13:4-12. In this passage, we get to read about the details of the first stop on Paul’s First Missionary Journey. It is striking that for this great evangelist, during his historic first stop of his first Missions trip (on the island of Cyprus), after a quick mention of sharing the gospel in one of synagogues and then throughout the island, the story focuses on his delivery of the gospel message in the court of Sergius Paulus, a Governmental leader. As we continue to work our way through the Book of Acts, we are amazed to find how prominently Governmental leaders are involved with the story of the early spread of the gospel. Some like Herod are noted for their mistreatment of the things of God. But the lion’s share of Governmental leaders in this book about the early church are actually individuals that the first Apostles focus their early ministries on. 1) A good portion of the Book of Acts documents Missions that took the Kingdom of God to Government leaders. 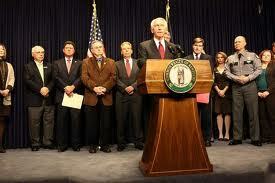 2) God loves Government leaders. 3) God has a plan for Government leaders. 4) Government leaders are not there by accident. 5) Government leaders are surrounded by people who want to control them for personal gain. 6) When God wants to touch a community, He often begins with government leaders. 7) Government leaders want to govern well. 8) Government leaders are human. 9) Government leaders respond to power. 10) Government leaders respond to truth. 10.5) When God sends people to take the Kingdom of Godinto Governmental settings, sometimes it involves confrontation. This week, we examined Acts 13:1-3. In this chapter, we saw an amazing phenomenon among the early church. It appears that one of the key components for their decision making was Fasting. For many of us, fasting is a not-to-often thought about spiritual discipline. This week, Tim brought a message that included his Top 10.5 Secrets about Fasting, and then we were encouraged to respond by Taking our Temperature for Fasting. 1) Breakthrough has come in my life around 2-3 tools. In the past 12 years, one of the most effective tools has been fasting. 2) God doesn’t invite me to fast so I can get His attention. He invites me to fast so He can get my attention. 4) I only fast the things that God is asking me to fast for the period that He is asking me to fast, for the reasons He is asking me to fast . 5) When I fast, I am accountable to someone. There are practical reasons for this in the spiritual and in the natural dimensions. 6) If I mess up in my fast, I don’t freak out and get distracted. I just ask for forgiveness and press the “restart” button. 7) When I am fasting, I may have to accept that it could temporarily outweigh other important parts of my life. 8) My fast really matters to God. 9) I ask God for His heart for fasting instead of a religious spirit. 10) When I fast, sometimes the anticipated Breakthrough comes immediately. Sometimes the anticipated Breakthrough comes later. And sometimes the Breakthrough is different from what I expected. 10.5) As powerful as fasting has been for me as an individual, fasting as a group has been very dynamic. You are currently browsing the Raytown Vineyard Church blog archives for March, 2012.